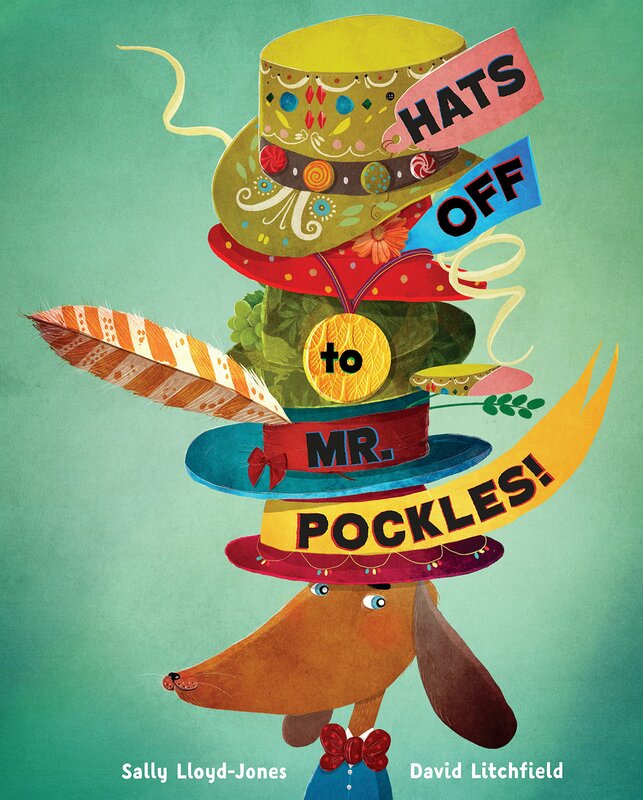 Summary: Mr. Pockles doesn’t have any friends, but he sure has a lot of hats. “For Mr. Pockles, going without a hat was as unthinkable as going around without any pants on.” When Hat Day at the PandaPolitan Club rolls around, Mr. Pockles is depressed not to be able to go because he’s not a panda. Donning his Jaunty Hat With a Friendly Feather, he heads for the Treat House to try to cheer himself up. Unfortunately, panda extraordinaire Lady Coco Fitz-Tulip shows up, wearing a spectacular fruit-laden hat and bragging about her upcoming day at the Club When a couple of baby bunnies get into the fruit, Mr. Pockles comes to the rescue, bringing not only Lady Coco, but the whole Treat House gang back to his house for some hats. The panda declares them all friends and invites them to join her for the hat soiree at her PandaPolitan. 40 pages; ages 4-8. Pros: It’s a fun story, from that first sentence (quoted above) to Lady Coco’s final cheer of “Hats off to Mr. Pockles!” The illustrations are sensational, with brilliant colors and a staggering variety of hats. Cons: Even with her change of heart, Lady Coco seems pretty obnoxious, and the PandaPolitan club, cruelly exclusive (“And pandas, as everyone knows, are very Black-and-White. Either you are a panda, or you are not.”).